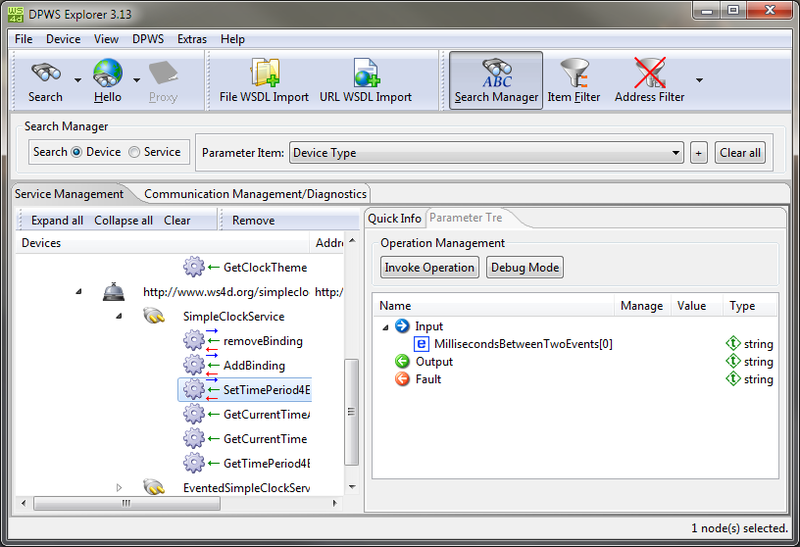 The DPWS Explorer is a GUI-based analyzing tool for DPWS compliant services; more precisely it’s a generic DPWS Client implementation using the WS4D Java Multi Edition DPWS Stack (JMEDS). 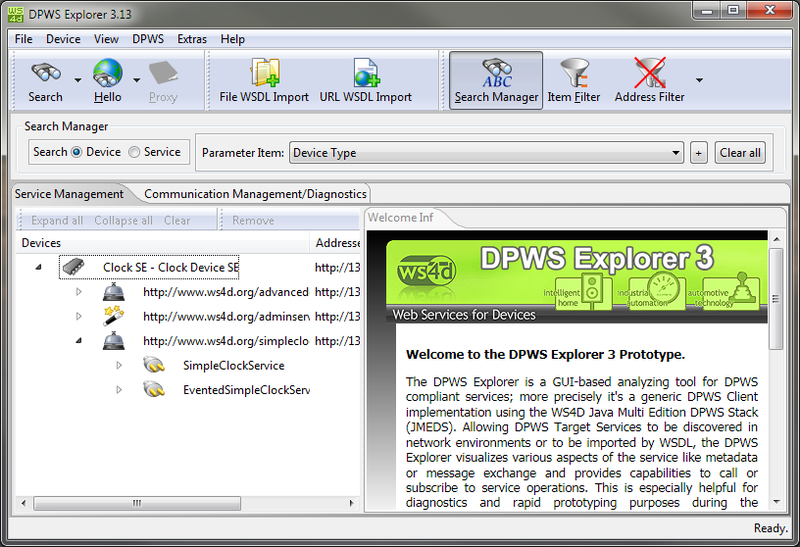 Allowing DPWS Target Services to be discovered in network environments or to be imported by WSDL, the DPWS Explorer visualizes various aspects of the service like metadata or message exchange and provides capabilities to call or subscribe to service operations. This is especially helpful for diagnostics and rapid prototyping purposes during the development process of DPWS Services. 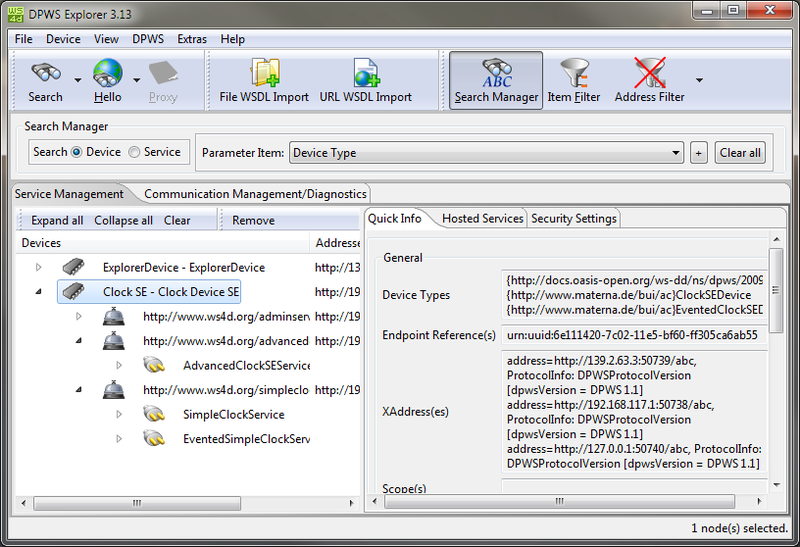 Communication between the DPWS Explorer 3.4 and each discovered DPWS entity can be fully monitored, logged and analyzed.